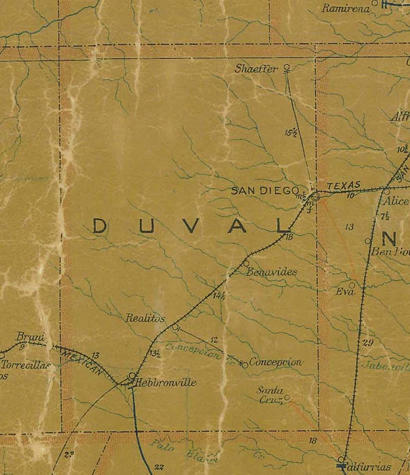 Created by the Texas Legislature in 1858 and organized in 1879, Duval County played an important role in the economic and political development of South Texas. 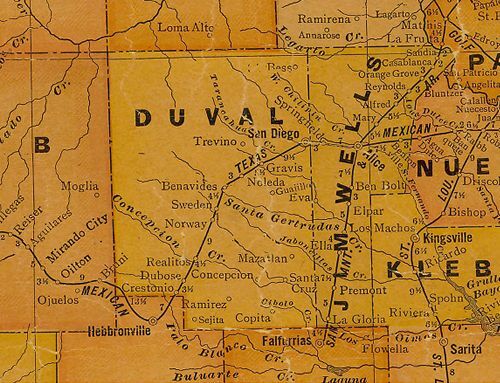 Early settlers came to this area in the mid-19th century from Mexico, and Anglo pioneers began arriving in the 1860s. The early economy was based on ranching and agriculture. 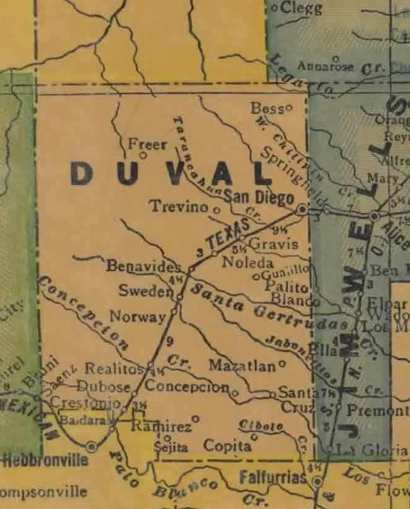 In the late 1870s the railroad brought increased employment and population to the county. 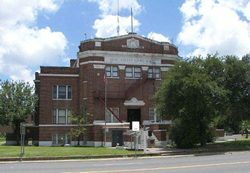 The discovery of oil, gas, and uranium in the early 1900s boosted the economy and caused increased settlement in the region. 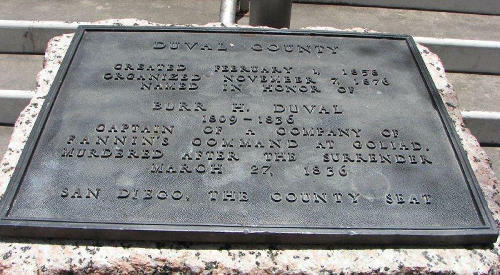 Captain of a company of Fannin's command at Goliad. 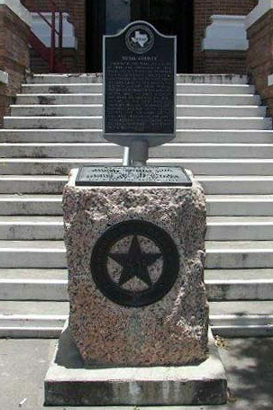 Murdered after the surrender March 27, 1836.